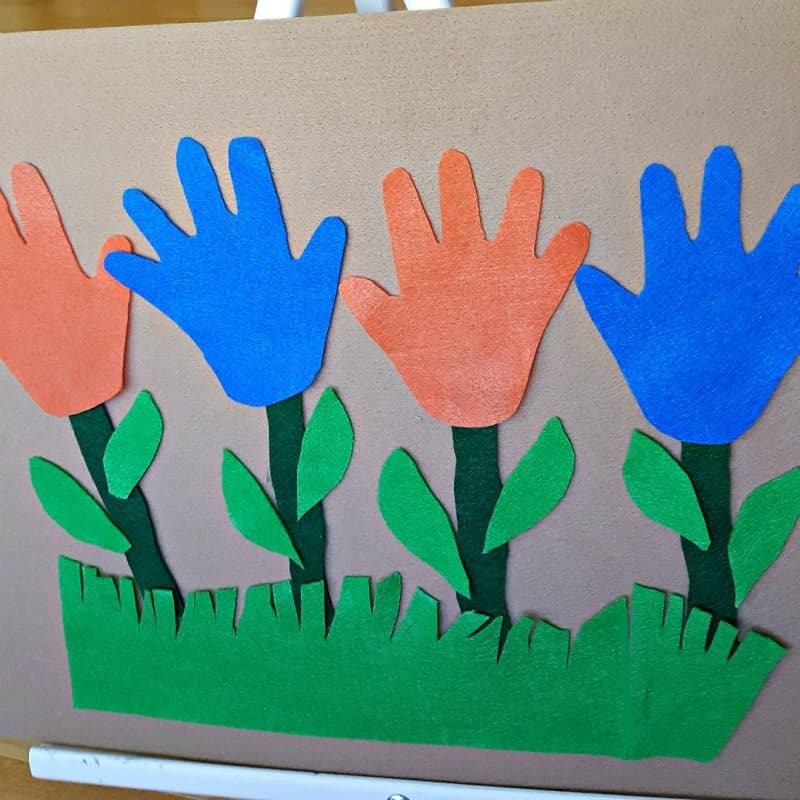 This felt board activity is a fun way for toddlers to use felt flowers to engage fine motor and creative skills. Kids can sort colors, count finger ‘petals’, and create beautiful gardens with this simple felt board activity. 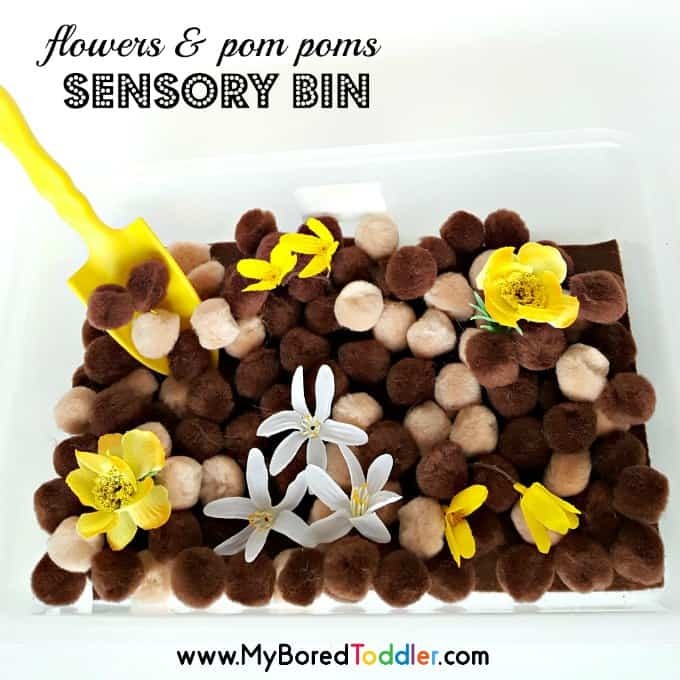 Toddlers love activities that engage the senses while supporting hands-on exploration. A felt board activity is a perfect opportunity to do all of that. Kids can explore the sizes, shapes and colors of the felt pieces, and use their imaginations to design flowers and flower gardens. 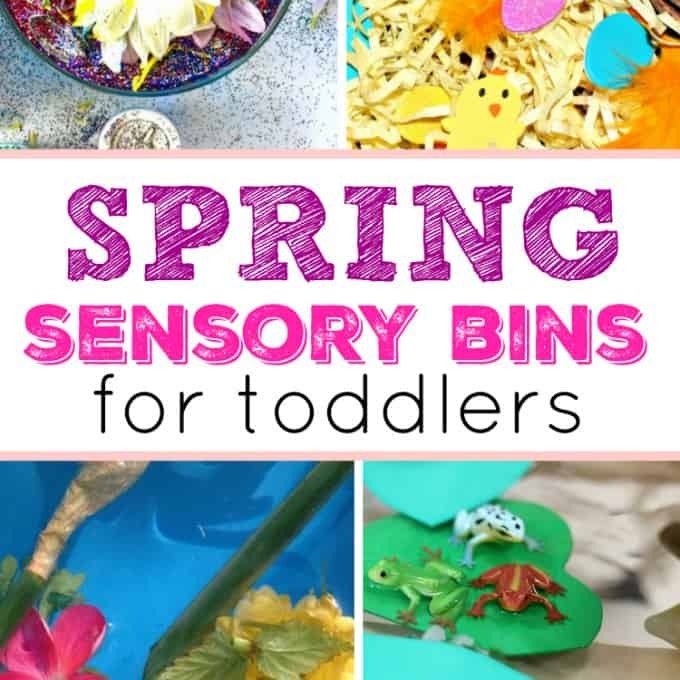 It’s a great Spring toddler craft idea. Felt – you can get a mixed pack like this. 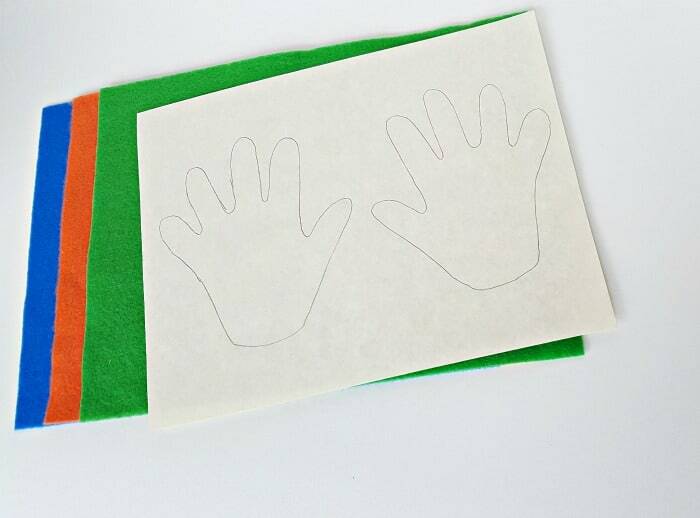 Trace your child’s hands onto paper, or directly onto the felt if possible. 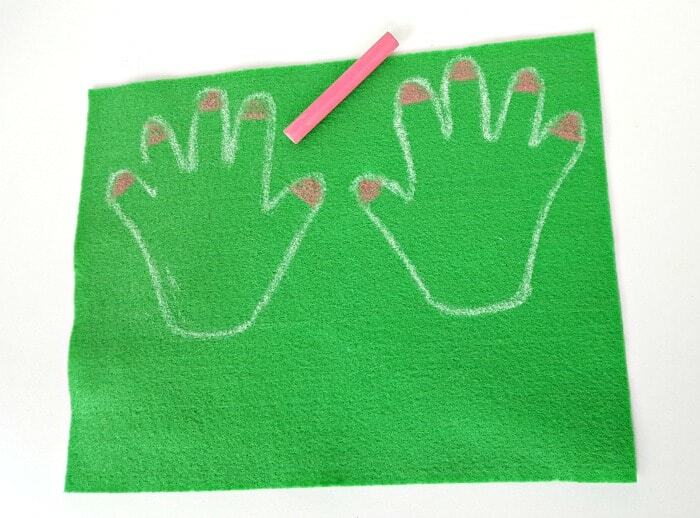 Toddlers’ fingers sometimes get a bit wiggly as they are being traced. The felt flowers you make in this activity do not have to be perfect. In fact, variations will make your handprint flower garden even more beautiful. Cut out the paper hands and place on a piece of felt. Trace around the handprint templates with chalk. 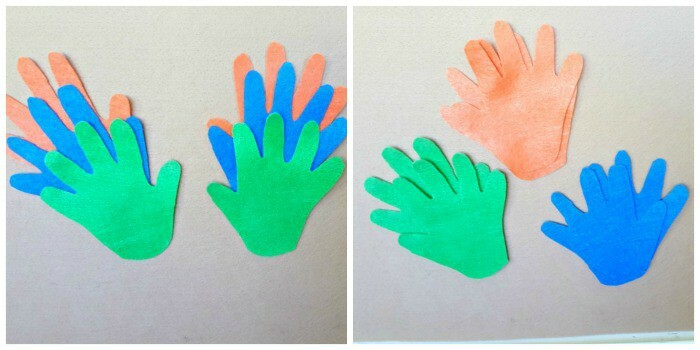 Make a few different colors of felt hands to provide sorting activities and creative play. Your toddler might like to add colorful nails to the hands with chalk. The chalk may brush off as the flowers are used in the activity but the coloring process can be fun for your child. Cut out felt hands. These will be the flower tops with ‘finger’ petals. Cut out stems and leaves from felt. There are a few ways to play with the felt handprints. Build a flower with petals, stem and leaves. Create a garden filled with several colorful flowers and some felt grass. Sort felt hand cut-outs by color. Match left hands only, placing them one on top of the other (do the same with right hands). 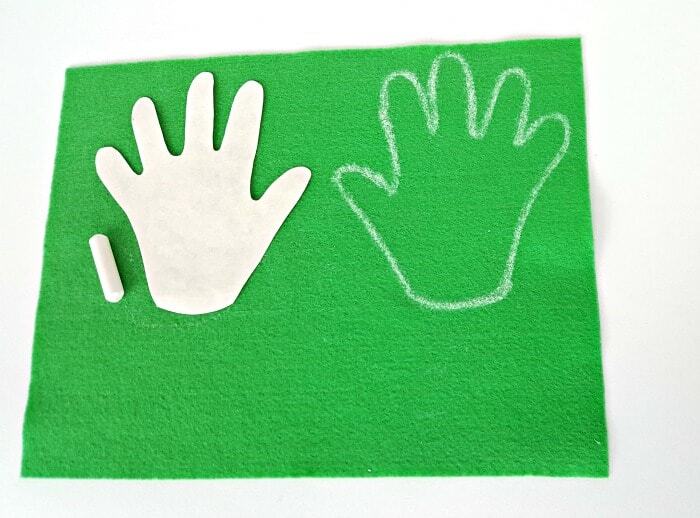 Have your child place his hand over a felt hand to match up thumb and fingers. The felt board is a fun and mess-free play option for toddlers and a great Spring Activity for Toddlers. The colors and textures of felt pieces provide hands-on play with sensory and fine motor experiences. 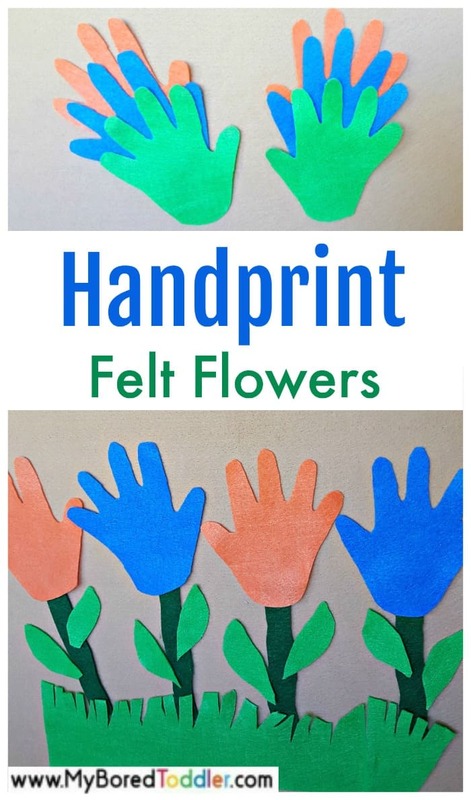 Handprint flowers provide color recognition and counting opportunities as kids build flowers on the felt boards.